This supplement is designed to work in harmony with your natural sleep cycle and hormones to promote general relaxation and provide a support for occasional sleeplessness. This product claims to contain a blend of ingredients beneficial for sleep. These ingredients are useful for calming the mind and relaxing the body, thereby promoting a restful night’s sleep. The manufacturer also states that this product is made with non-GMO ingredients and is lactose, gluten, sugar, and wheat-free. Nature’s Bounty recommends taking five capsules before bedtime, or opening the capsules to make a tea which you should drink before bed. This supplement should not be taken by women who are pregnant or breastfeeding. If you are taking any other over-the-counter or prescribed sleep aids, you should also avoid this supplement for risk of interactions with all of its ingredients. There are limited side effects for all of the ingredients. Valerian may cause mild headaches or dizziness, as can passion flower. Lemon balm may cause adverse effects to individuals suffering from a thyroid condition or glaucoma. Hops may impact the efficacy of oral contraceptives. This product is not sold directly on the manufacturer’s website, however, they do provide you with a link to find a retailer. A 100-capsule bottle of this supplement can be found through a number of large retailers like Target, Walmart, Walgreens, and CVS. The lowest price is offered by CVS for $8.49. Amazon offers multi-bottle deals, as well as subscription offers. After extensive searching, we were unable to find a product guarantee for this specific supplement on Nature’s Bounty’s website. There may be return possibilities when purchased through other retailers. There are no reviews for this product on the manufacturer’s website, however, reviews we found elsewhere are mostly positive, with either five or four stars. Some people reported that taking a lower dose is equally effective, but that the product does what it says it will in terms of relaxation, stress relief, and sleeplessness. This seems to be a high-quality product that fulfills on its promises. The product seems to contain ingredients that are known to be beneficial for helping users to relax and fall asleep easily. While it is non-GMO, there is no mention of whether the product is organic. The lack of clear product guarantee gives little recourse for those who are unsatisfied with the product. Additionally, there is very little information provided about this product on the manufacturer’s website. 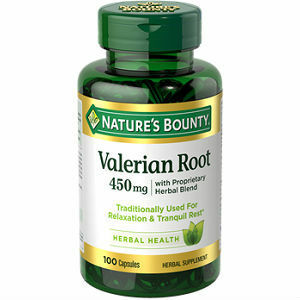 Bernard Spradlin	reviewed Nature's Bounty Valerian Root	on December 2nd	 and gave it a rating of 2.5.